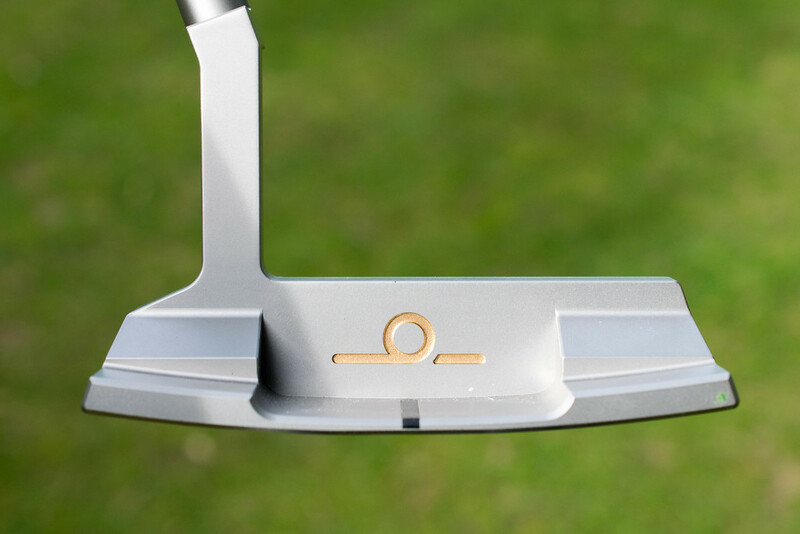 Earlier this year FLUX Golf Burst on to the scenes at the PGA Merchandise show, revealing a putter that brought back memories to the old bullseye putters, only this time in a more industrial and technological build. The Flux Unity putter turned some eyes as it photographed exceptionally well, but as THP discovered, it was more than just a looker. Instead, it featured some new technologies that would help golfers achieve an even better end over end roll of the golf ball. In fact, in the official THP review available here, James Miles noted how shockingly well the whole package worked. Since the original design might have been a little too different for some, it would make sense to have a release that would be a familiar shape, and that’s what we have here with the Flux Harmony putter. When a player looks down at the Harmony putter, they will instantly recognize the Anser style shape with the traditional plumber’s neck. Over the years, golfers have seen many variations of the Anser shape with the way the edges and bumpers tend to get rounded off, however with the Harmony we get some very straight squared off lines. Currently, the Harmony comes in two different finishes, Black and Rain, with the latter being what we received. In this case, Rain portrays itself as a lovely satin finish which looks fancy while out on the course. Presentation wise it is a very clean look which should appeal to many. 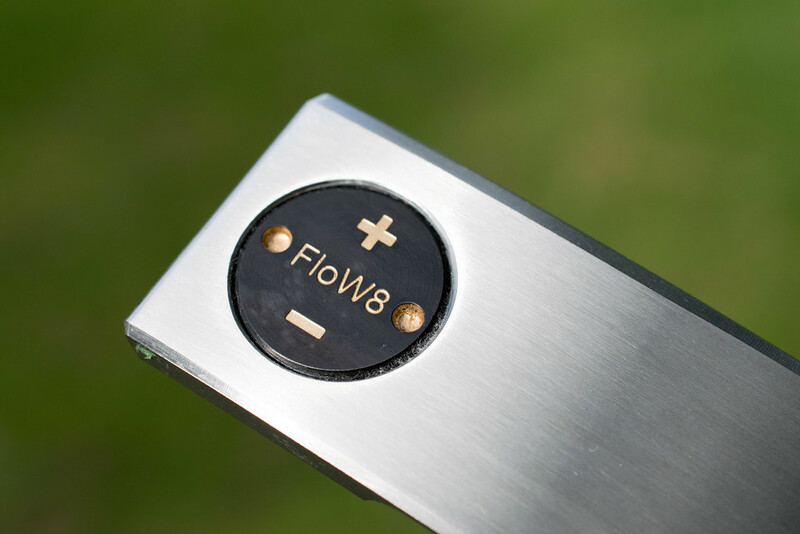 On the sole instead of stamping, there is the FloW8 weight which will help give a boost in MOI. While on the topic of weight, this putter feels heavy, which could be why it was terrific on short putts. Traditionally, I have preferred a heavier putter the closer I get to the hole. As with most golf clubs, looks can get you only so far, because, at some point, they need to perform well enough to stay in the bag. Here is where Flux’s DARtech insert comes in to play. DARtech stands for “Directional Angular Rotation,” and it is a face insert that is set to produce a roll that is unmatched by any other insert on the market. Flux is so confident that they list on their website that all challengers are welcome. Being a fully customizable product, the Harmony putter offers a DARtech insert that comes in three different variations, which is one more than was available on the Unity putter. Those materials are polymer, aluminum, and what we received, the 304 Stainless Steel option. 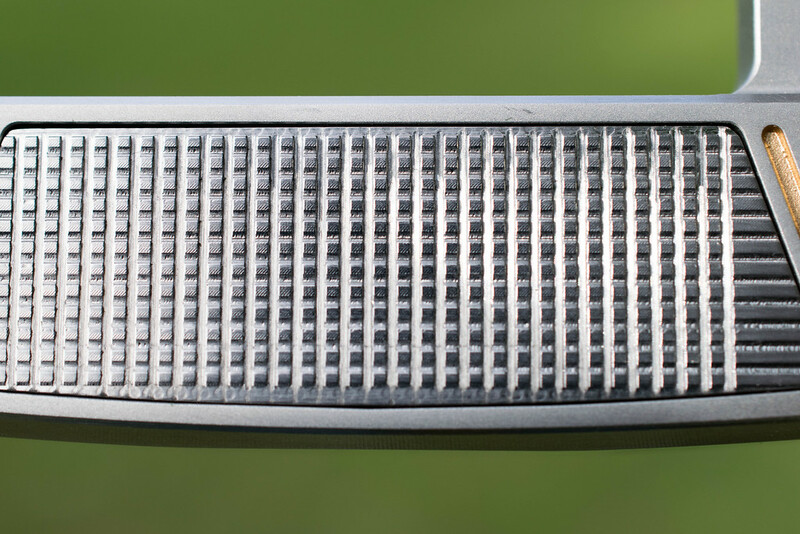 During play, the roll off of the Harmony putter was very impressive. Not only was this insert very responsive concerning feedback, but it gave a sensation that it was pushing the ball immediately off of the face. One of my playing partners described it as feeling “hot” and producing an instant roll, and that was before diving into any technology-based conversation about this model. Not only was the feeling of the roll prevalent, but the consistency in distance control was hard to ignore. In my case, I have struggled with Anser shaped putters in the past, but between the heft and this insert, I was witnessing some improved consistency. Earlier I mentioned how the entire package of the Harmony putter felt heavy and carried with it a swing weight of D9. Part of that extra overall weight comes from the Gravity 1 Grip, which tips the scale at a healthy 135 grams. Earlier this year, THP dedicated an entire review to this grip alone, so for those who are looking for more detail on it, please follow this link. In a simplistic form, this oversized counter-balanced grip is present to help take the wrists out of the putting stroke. With so many variables out there that lead to a golfer getting the ball into the hole, this grip aims to remedy a wristy stroke which should help provide more consistency. While it featured a similar no-taper design to my regular putter grip, it wasn’t exactly an option that I preferred. 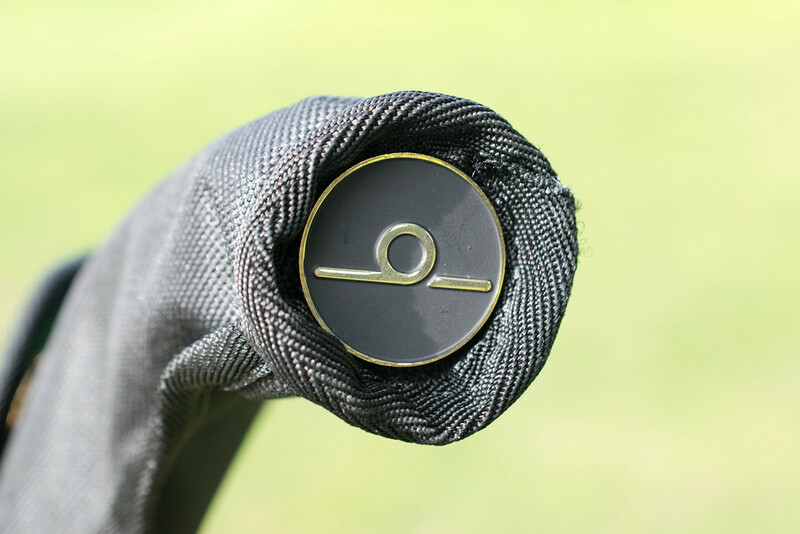 Overall though, I am a believer that a putter grip can help golfers produce a better, more consistent stroke, and with the design of this grip, I can feel that taking place. These days it seems like companies are going out of their way to make putter headcovers stand out. Whether it is the use of different material finishes like leather or carbon fiber, or including bright colors or flashy design, the objective is to create an accessory that adds to the experience of owning said putter. With their headcover, it is not flashy, instead it is understated. We all know that person who remains relaxed and confident in every situation that life throws at them right? That to me is this headcover. 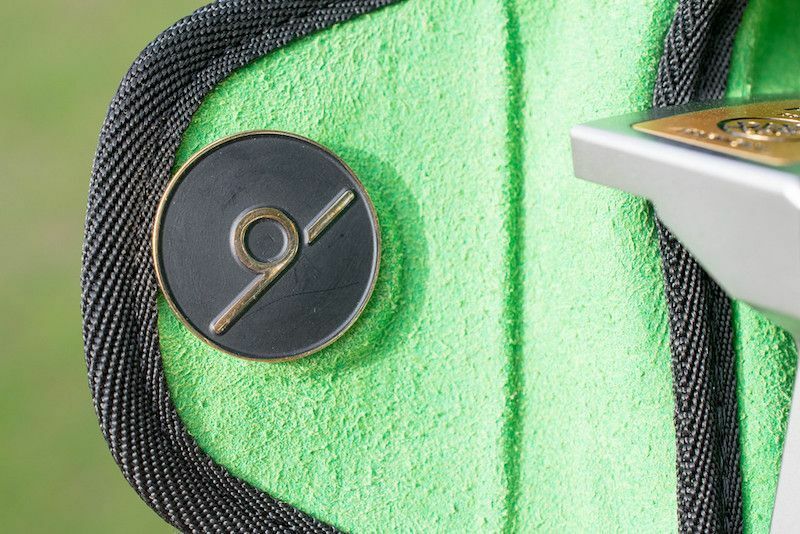 There are no bright colors or fancy designs imprinted on the black fabric, but yet there is something special and unique about this cover, like the fact that it houses two different ball markers, one on the toe, and one on the inside flap that secures the cover to the putter. What is even better about this is that the magnets are incredibly strong, specifically the one on the toe, which has prevented any issues of me losing a ball marker like I seem to do with every other one I own. This headcover is not the only protective accessory that comes with this putter, as Flux also includes a putter case, which they refer to as a Bandolier. It looks eerily similar to a soft gun case, which gives off the belief that this putter can undoubtedly be a weapon on the course. It might not be something that golfers will use a ton, but it adds to the premium experience of buying something special. 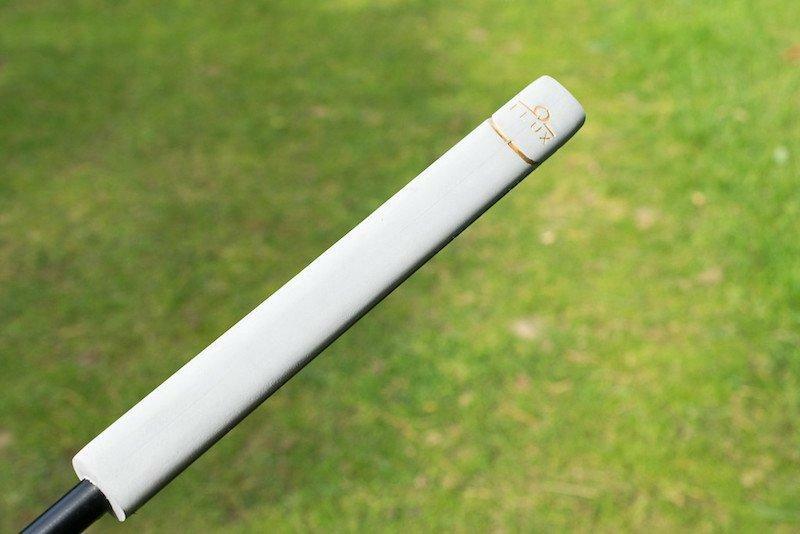 Flux Golf has put a lot of time and energy into the creation of their products. Their found John Anton has worked on the DARtech insert for a decade. All of that time has certainly paid off as this putter produces a roll that might very well be amongst the best in golf. 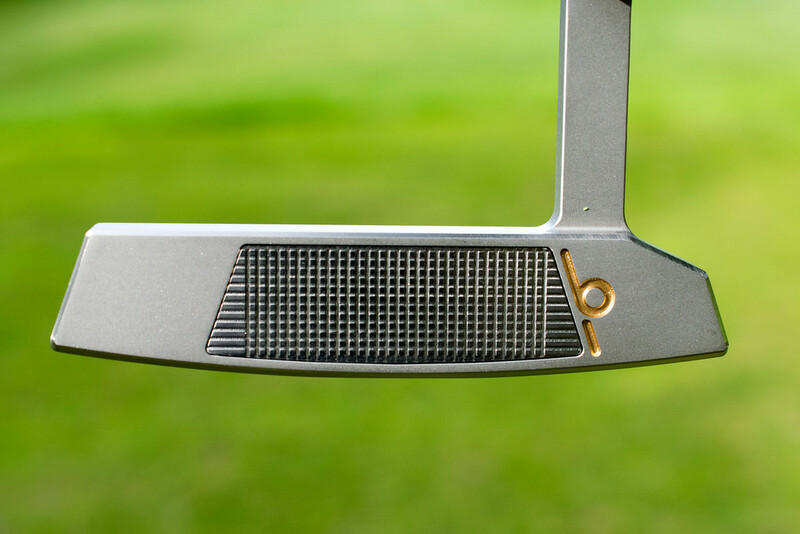 Boutique putters are never cheap, and when one dips into the custom market, that price tag can quickly elevate, which is the case here as the price comes in at $600. While I cannot and will not tell anyone how to spend their money, what I will say is that if you ever get the chance to roll a Flux putter, make sure you take the time and do so because there is a good chance that you will walk away impressed. More information is available at www.FluxGolf.com. More MOI, a $600 price point and a Gravity 1 Grip, the two finishes and an insert that looks awesome? 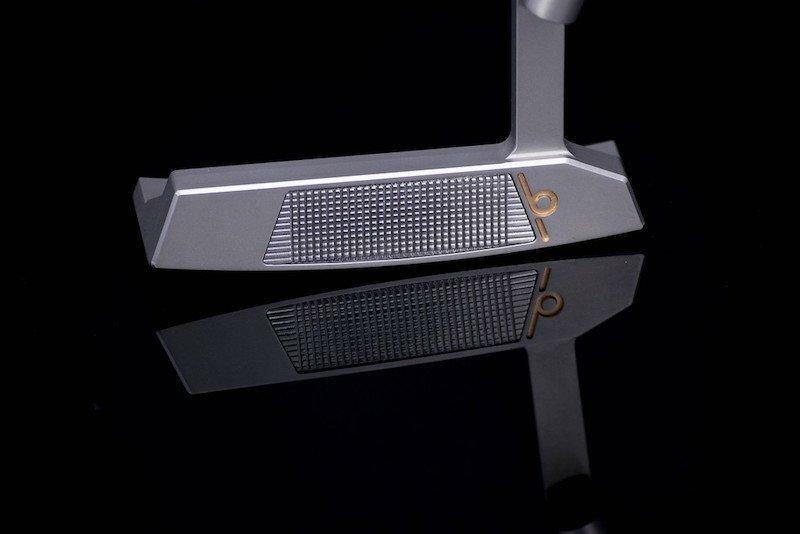 I definitely am interested in this putter. That headcover is fantastic as well.